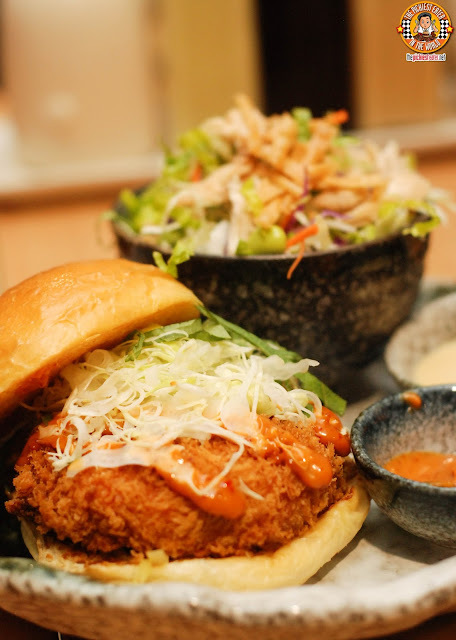 THE PICKIEST EATER IN THE WORLD: THE NEW MENCHI KATSU BURGER FROM YABU! 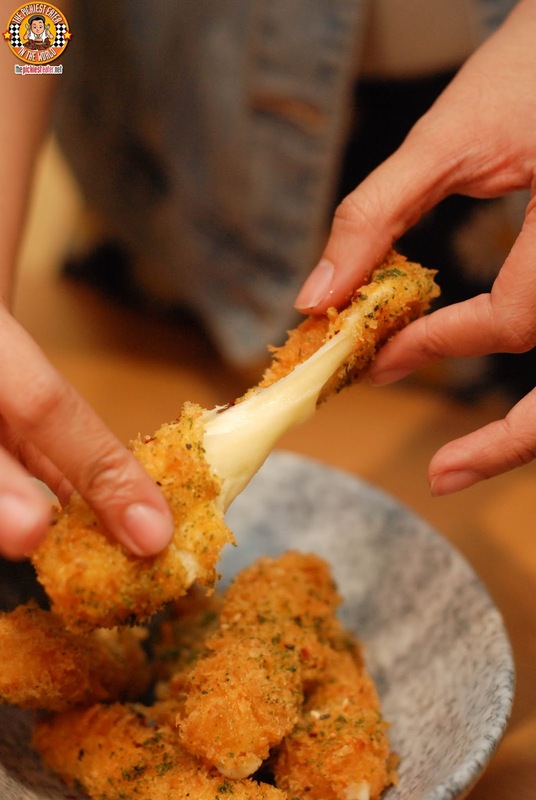 Our meal began with Yabu's Mozarella Katsu Sticks (P260), which is easily among the most amazing Cheese Sticks I've ever tried. 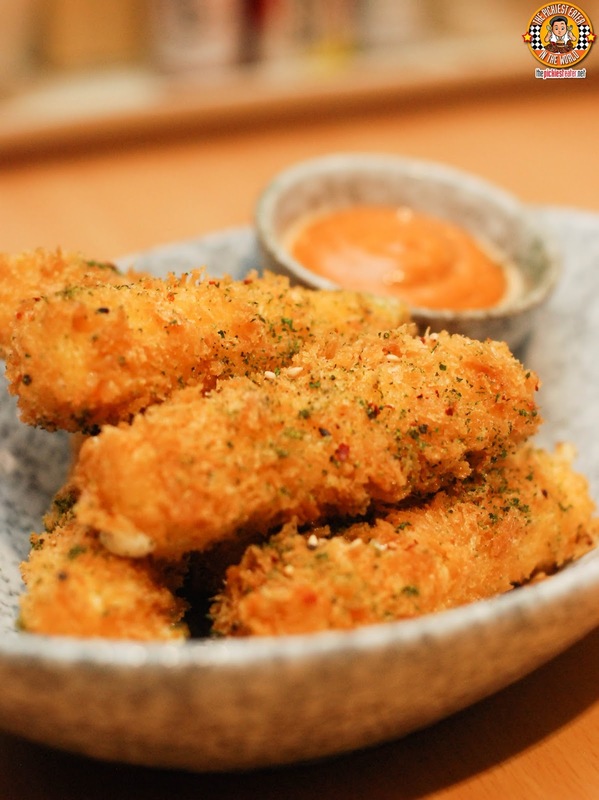 The Panko Crumbs are lightly dusted with Furikake for an added depth of flavor. Ripping into the stick reveals the incredibly gooey mozarella cheese that will be the basis for your next addiction. 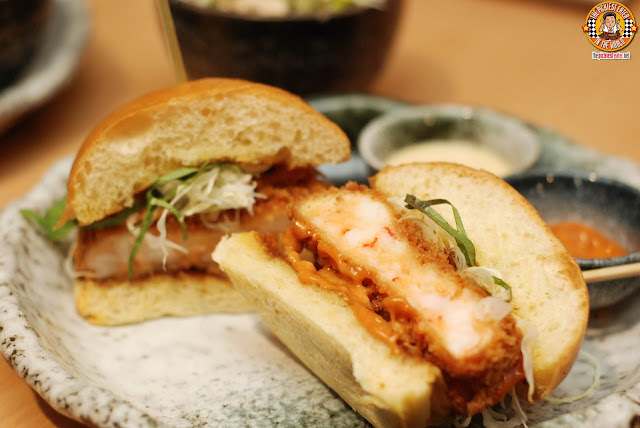 For those that enjoyed the roll out of the first set of Katsu Burgers will be happy to know that the very popular Ebi Katsu Burger is still there. What sets Yabu's Ebi Katsu Burger (P420) apart from the others is how impressive the shrimp patty looks. The chunks of Black Tiger Prawn meat is highly evident, so you know Yabu didn't scrimp on it's ingredients. The remarkable taste of the Ebi Burger, topped with Shredded Cabbage, Caramelized Onion Jam and Aioli will reaffirm that. For those who were fans of the Hire Katsu Burger, it is with a heavy heart that I inform you that it has been phased out of the menu for the meantime, But in its place, is the Menchi Katsu Burger (P390)! The undeniable hero of the Menchi Katsu Burger is the patty itself, which uses two types of cheeses, Havarti and Cheddar, which bursts into your mouth as you bite into it.The mouth-watering Katsu patty uses as Spicy Japanese Aioli to help bring out a new dimension of flavor to the burger, and is perfectly complimented by the Caramelized Onion Jam, Japanese Pickles and Shredded Cabbage. 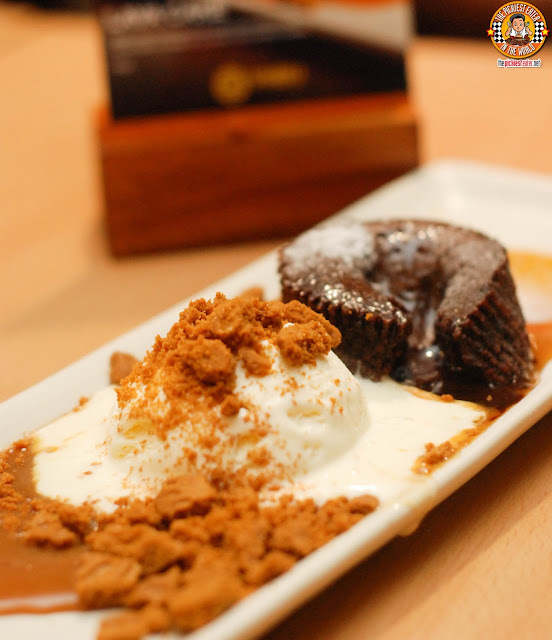 For the finale, we enjoyed Yabu's improved Lava Cake (P185). A Chocolate cake is nestled on top of a bed of Butterscotch Miso, with a scoop of Vanilla Ice Cream on the side. A crumbing of Caramel cookies is sprinkled around the plate, peppering the dessert with a crunchy texture. A river of rich chocolate streams out from the center of the cake as soon as you slice through it with your fork. This was leaps and bounds better than Yabu's previous Lava cake, but still notches below the Lava cake from Oz Cafe. On the whole, I'm really ecstatic about the latest addition to Yabu's menu. As much as I enjoyed the Hire Katsu Burger, the Menchi Katsu Burger elevated everything I enjoyed about it. 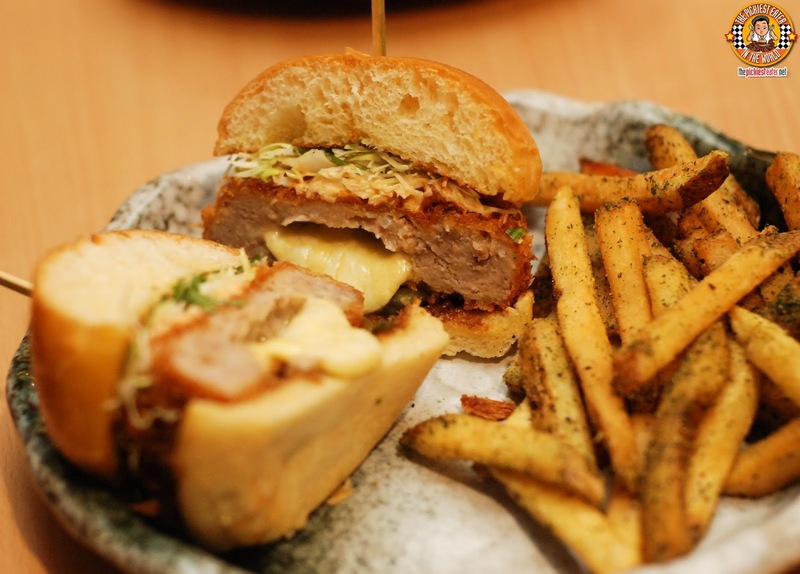 From the Cheese infusde Patty to the Spicy Japanese Aoili, this burger is yet another reason to head on over to Yabu (As if you needed any more reasons hehe). Follow Yabu The House of Katsu on Facebook! you gotta try it talaga! !